EAST VILLAGE, Manhattan (WABC) -- A melee at Webster Hall on Saturday night during a performance by rapper 'Skate', caused a social media firestorm. Apparently it all started with a fight between two fans. A security guard attempted to break the fight up, but Skate thought he was choking one of the fans. Skate then reached down and tried to pull the security guard off the fan, and was then attacked by security guards. Never would I have wanted this for my fans. I show nothing but love and peace to everyone I encounter. Tonight the devil was against us. Sad a sold out show had to end like that. It's love for my family and my fans to the death. We ride together. One love. Note to self: don't perform at Webster Hall. Following the incident, Webster Hall released a statement saying, "Saturday's incident is being fully investigated, as there are misreports about what took place. Webster Hall's staff do NOT carry tasers and are not armed. They carry strobe flashlights. The safety of all guests is always our primary focus." 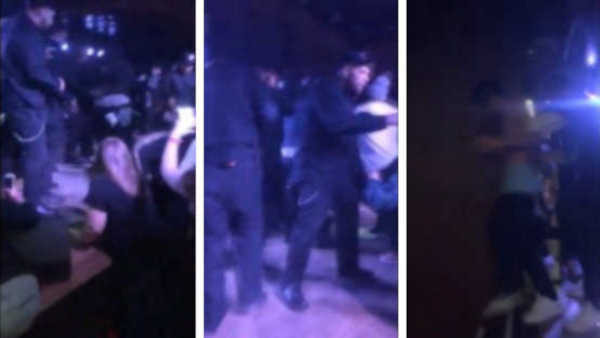 Police say no arrests were made, however they did arrest a person for assault inside Webster Hall around 3 a.m. They do not believe the assault is related to this incident.